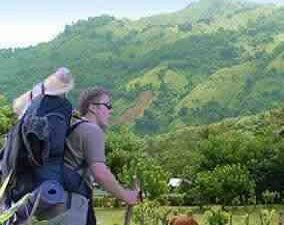 Fourteen years ago, an American came to Bonao Dominican Republic for the first time and he fell in love with the beauty of its mountains, its people and the way of life! Quote: "On the hard trodden path of the adventurous, it is becoming increasing rare to discover the elusive prize that all of us seek: a hidden corner of paradise, untouched and authentic. "While paradise may be a matter of personal preference, who could resist the charm of a rural Caribbean village nestled within impossibly green mountains, and crisscrossed by abundant streams and waterfalls? "The wave of mass tourism to hit the Dominican Republic has, thankfully, bypassed such a place. The visitor who ventures off the beaten track of Santo Domingo - Puerto Plata - Samaná etc., and heads instead for the town of Bonao, will receive just rewards for his curiosity. "Bonao is the gateway to 'Los Quemados', a sleepy village nestled in the foothills of the Cordillera Central, a destination that remains a precious secret to those few who have enjoyed its allure. "It boasts spectacular views of the lush mountain ridges as well as the clear freshwater River Yuma running through the settlement. "One could spend many peaceful days here merely enjoying the natural beauty of the location and the warm hospitality of the Dominican campesinos..."
"The adventurous will find endless diversion and pleasure from mountain activities such as horseback riding, trekking to waterfalls, and swimming in the countless babbling streams and waterholes. "Anything is possible, from hiring a motorbike to explore the corkscrew roads, to setting up camp on a remote mountaintop. 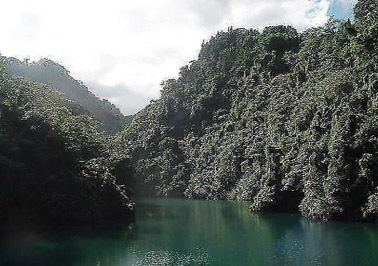 With the rainy season over, now is a wonderful time to explore the unique appeal of Los Quemados, Bonao. "-Marshall Z.(2003). One can easily appreciate why Marshall fell in love with Bonao to the point of making it his permanent home! Yes, Bonao seems to have it all! You would have never thought it possible to encounter such "stunning alpine landscapes" and temperate climate on a Caribbean island. 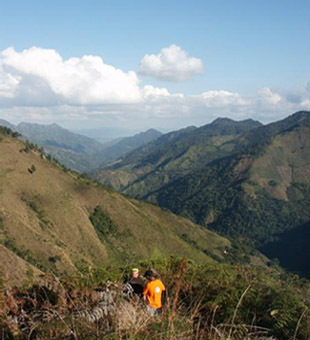 One of Bonao's greatest assets is its proximity to the magnificent Cordillera Central, the largest of the five mountain ranges in the DR. 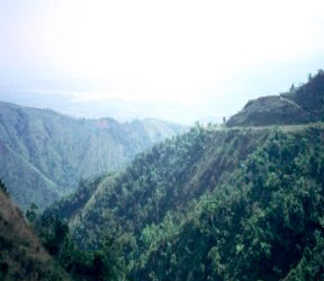 Which also features Pico Duarte, the Caribbean's highest pount. This wonderful setting inspired Marshall and his wife Ramona to provide the chance for many other people to be able to stay a while, so they too could truly appreciate the fabulous diversity of the heartlands of our lovely country here near Bonao Dominican Republic. In the cosy little Town of Los Quemados, Bonao Dominican Republic, Marshall and Ramona have established a reputable and incredibly economical accommodation business and also provide a diverse variety of exciting tour opportunities. The hard-working couple have created the perfect combination of good basic hostel facilities, and a great value activities operation, ideal for independent travelers looking for something a 'bit different'. For the last fourteen years their wonderful ranch house and camp site has received many hundreds of visitors from all around the world. Providing an ideal base for true 'travelers' (rather than just tourists), those looking for an adventure, for quietude, for a special closeness to nature...or maybe just to get to know the 'real' Dominican Republic! Whether you are an intrepid family looking for your next memorable vacation; a solo traveler looking for a welcoming, spirit enhancing break; a group of friends seeking that ideal 'shared experience'... Marshall and Ramonas 'hacienda' has something for everyone. Looking for somewhere a little different...? "Looking for somewhere a little different for your next family vacation? How about the unhurried ambience of a rural Caribbean village also brimming with opportunities for outdoor adventure? Treat your kids to a glorious natural playground and yourselves to a lifestyle a million miles from the stresses of life at home. Bonao is a friendly town nestled in the Central mountains of the Dominican Republic. With a million healthy activities for kids, parents can join in or relax and enjoy spectacular views of the lush mountain ridges. There are kitchen and barbecue facilities available... (on site)...plus a number of good restaurants in the nearby town of Bonao. The neighbourhood grocery stores are stocked with food produced in the surrounding area, including coffee, cacao and sumptuous tropical fruit. Beyond the hostel/hotel a world of adventure awaits the intrepid family. 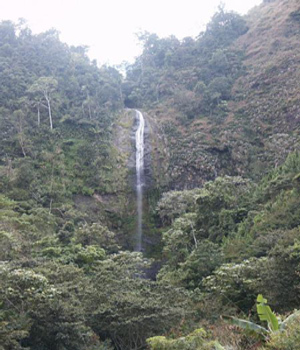 There are various tours to waterfalls, dams, and mountains, though 'independent' travel is also possible. Road access to all major towns and airports is quick and simple, though the serenity of the nearby villages will make you feel like you’ve wandered back in time. So let Bonao be your base for a tropical adventure that will open your eyes and blow your minds..."
"...Come prepared to be surprised!" Tempted? Well, if you are a true traveler, we would be surprised if you weren't! We know we certainly want to rediscover this fantastic place close to Bonao Dominican Republic, when next we return to our incredible homeland. For more information about the accommodation, facilities, services and tours that Marshall and Ramona offer, and to be amazed at how economical it can be to book your own 'adventure holiday' a million miles away from the strangely 'unreal' world of the 'all-inclusive' compound just click: Los Quesados, Bonao Dominican Republic - 'Great place to stay' - now! We wish you many happy vacations!